This 11 seater Stretch Limousine is great for large groups or those wishing to arrive in style. Hallmark Hire Cars has been in the transport industry for over 25 years. We are experienced in all your chauffeured hire car needs. We are proud to say that we have a smooth operating business with many satisfied customers. This is due to our A-Class chauffeur service, and our number one value is courtesy and pleasant dealing with our professional staff. We operate 365 days a year Chauffeur services, Corporate Travel, Airport Transfers, Wedding Cars , Sporting and Special Events. We have built a experienced team dedicated to provide you professional chauffeur services with the very best in chauffeur driven personal transportation and corporate travel across Melbourne. All our clients at Hallmark Hire Car are treated like VIPs and we look forward to welcoming you on board and provide you the quality service. and seek long term healthy business-relation with every client who steps in our cars. Hallmark Hire Cars provides luxury chauffeur driven transport for corporate and private clients based in Melbourne and across Australia. Our services are Corporate travel, Airport transfers, weddings, Special events and Airport pick ups throughout Melbourne. Our professional services will help to make your event a rousing success. We strive to provide the best possible service to you. We provide you high quality of chauffeur cars in Melbourne which is why our customers come back to us every time. Moreover, we offer the most professional drivers for your safe travel. When it comes to corporate car hire, limousines hire or luxury car hire in Melbourne Hallmark Hire Cars is the place for you. Our Professional drivers will make sure that you have a great service and enjoyable journey with all their Knowledge of roads in Melbourne or all of Victoria. Our fully qualified staff's are ready to help with all your travel needs and will maintain a fully professional relationship with each individual client. We offer a range of services from corporate sedans, people movers, stretch limousines, luxury European sedans, mini buses and coaches. We are just a click away to help you with all your car needs. 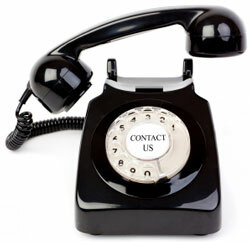 We available 24 hours on our phone lines to deliver all kinds of car hire services.